The BioBee is a highly accurate, commercially available bio printing system engineered from the ground up to meet research lab requirements. It has fewer mechanical constraints, atmospheric controlled conditions & is easy to operate. With the understanding that each specific application is unique, and that users will want control, we have designed our printer to be extremely customizable and adaptable to different types of materials. There is no one size fits all, so we made sure to keep the BioBee completely open source. Meaning open material, software, hardware & firmware. We use a linear driven syringe extruder for high resolution control and consistent results. This type of extrusion system is extraordinarily strong, which allows for the extrusion of a wide viscosity range of materials. With retraction capability, it can precisely control the deposition of material on the build surface. The syringe features a Leur Lock tip for convenient sterility with every print, no cleanup required. 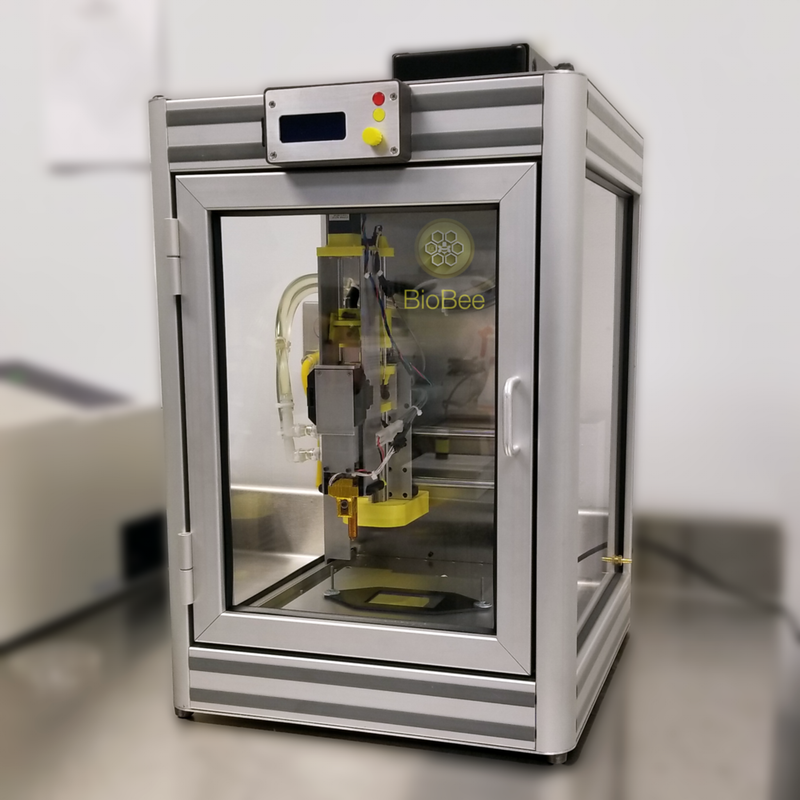 The BioBee can operate either heated or cooled, supporting a wider range of different material types right out of the box. The solid aluminum frame enclosure is sealed, preventing the contamination of jobs while regulating the environmental temperature. This is extremely important, as the evaporation of critical compounds can occur before the print is completed if it's not sealed. With acrylic sides, a clear view of the print job is easily achievable. Automatic bed sensing/leveling will ensure a perfect first layer every time. We started designing the BioBee back in 2016 with the guidance from one of our great partners, Akina Inc., and we are excited to tell everyone the BioBee is in the lab! We are currently working on developing the process to successfully print living cells using Akina's 3DCellMaker, a fully synthetic, reproducible thermogelling polymer to form 3D structures and tissues. This process has the potential to improve tissue engineering, provide more accurate cell analysis and better mimic in vivo cell behaviors. 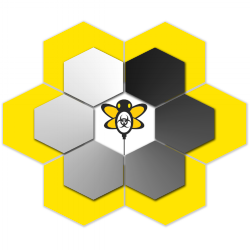 If you have questions about the BioBee, we would love to talk with you!